I can't believe we already wrapped up all of the letters of the alphabet! Z week was a pretty awesome week. With Ethan sick for the most of the week, we spent a lot of time at home and, of course, in tot school. He really loved all of the trays this week! Ethan had a lot of fun chopping veggies with his vegetable slicer during letter V week, so I brought it back again this week with zucchini. I had fully intended to help Ethan make zucchini muffins but he was sick, we dropped the ball (okay, mostly me) and our chopped zucchini went bad before I remembered. 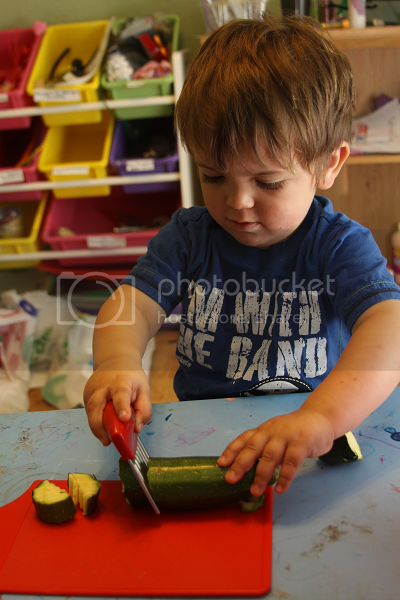 Still, he had a blast chopping zucchini! 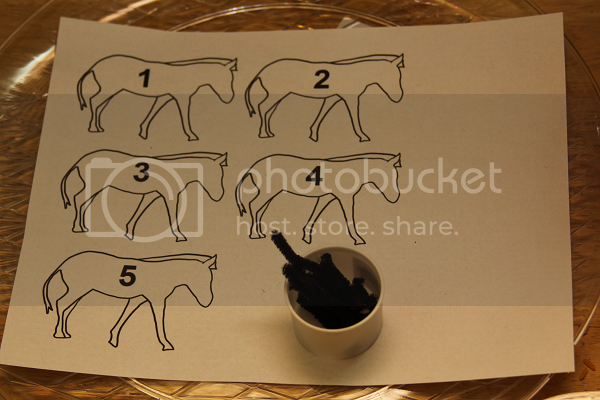 For this activity, I printed out some numbered zebras and included a little cup of black pipecleaners cut into pieces. 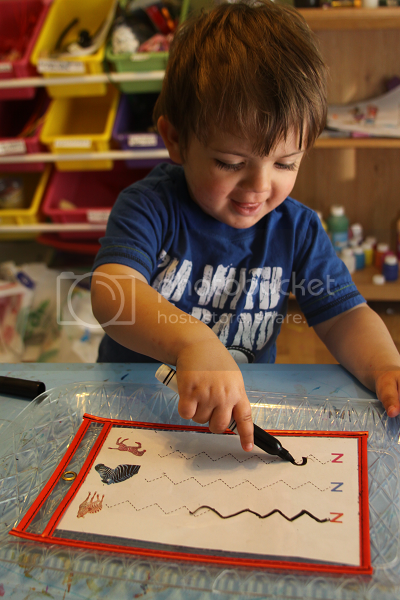 Ethan's job was to recognize each number and count out the right amount of "stripes" (or pipecleaners!) for each zebra. 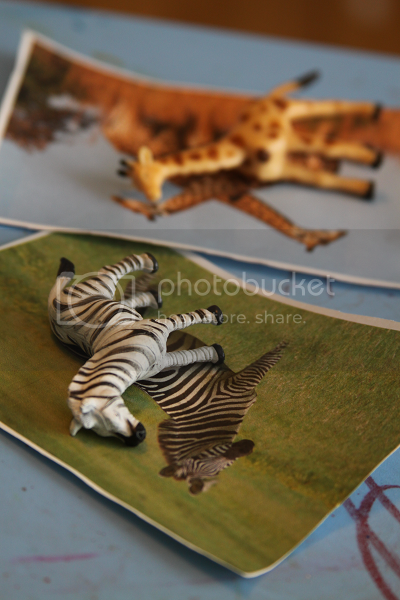 He loved adding the stripes to each zebra! 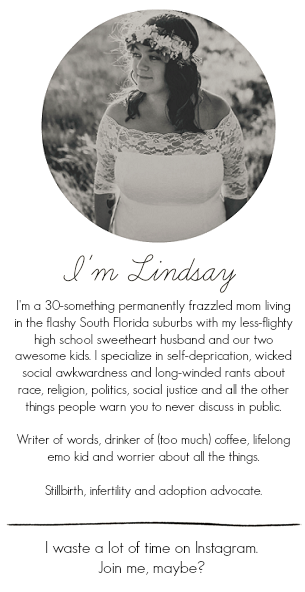 I printed out some zig zag lines and added some circles to them. Ethan got to use tweezers to place the pom poms inside each circle. 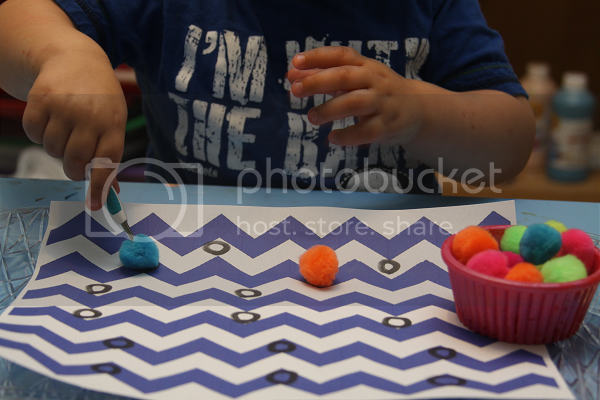 He really spent a lot of time on this activity, eventually wanting to just sort the pom poms his own way on the actual zig zag lines. 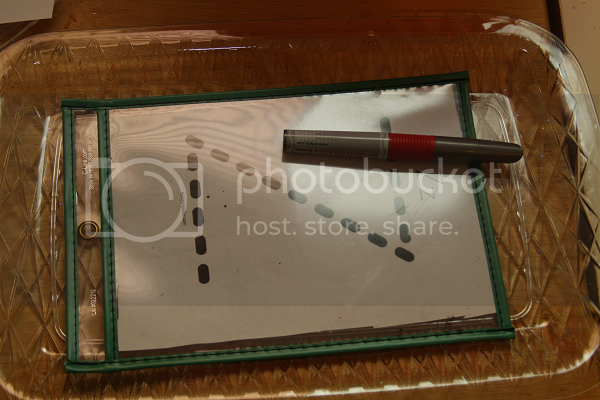 Ethan is usually indifferent to the tracing activities, but he really loved this one this week! 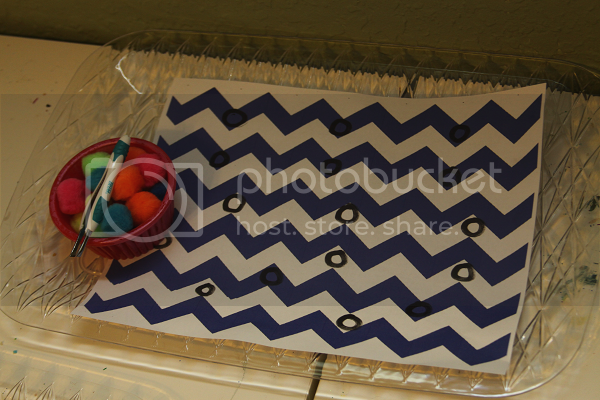 I think this tray was surprisingly one of Ethan's favorites from Z week. 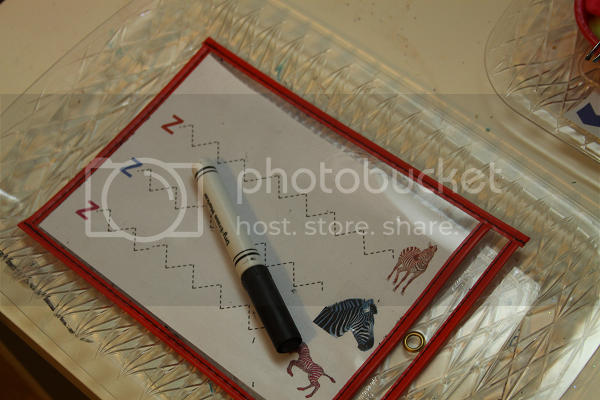 I had paired different colored Z's with matching colored zebras, to be connected with zig zag lines. 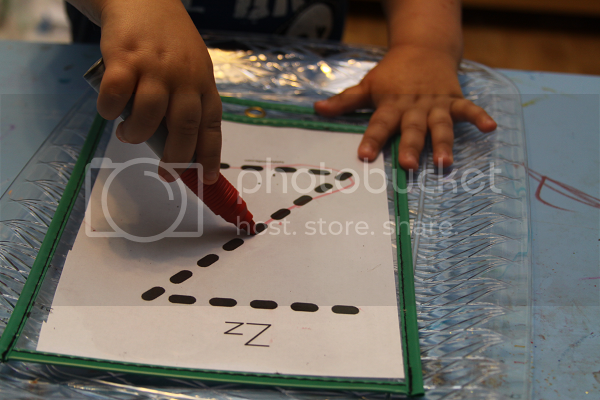 Ethan started off with a lot of trouble tracing the zig zag lines correctly but eventually really got the hang of it! 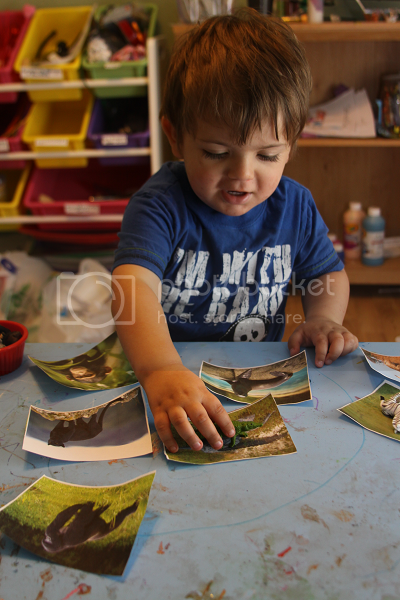 I loved Nicole at the Kavanaugh Report's Z week activity that had her little guy Henry matching two different sized zoo animal figures to their corresponding flashcard. 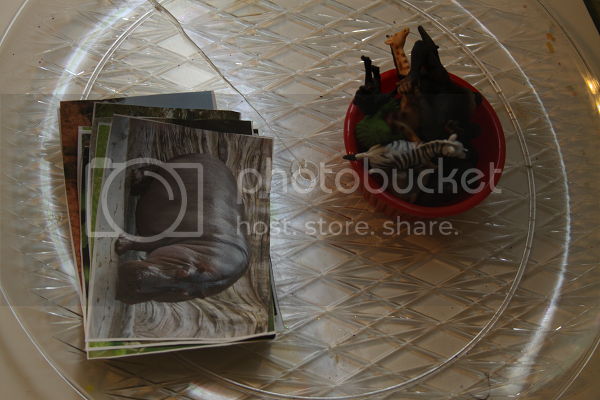 I improvised by printing out pictures of animals and having Ethan match them with the little TOOB animals. 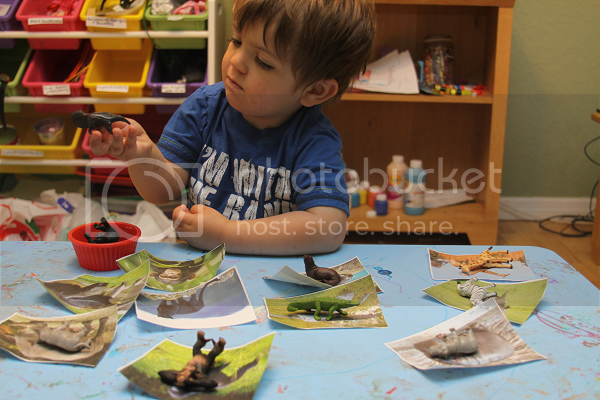 He absolutely loved this activity and being able to name all of the animals by the end of the week. 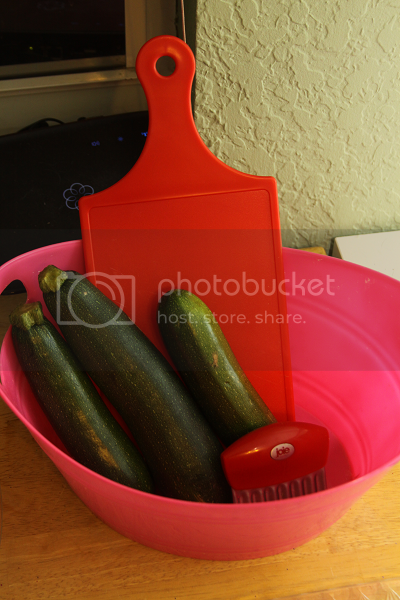 I love your zucchini slicing! Where did you get the cute little slicer?